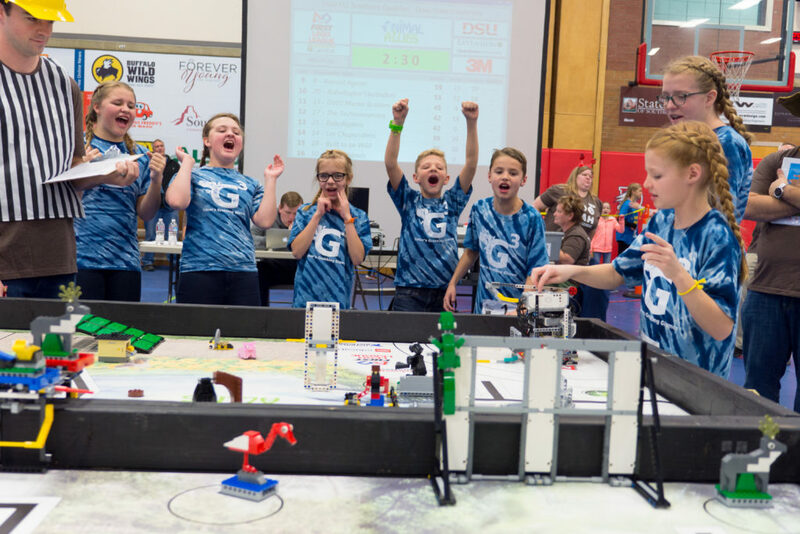 ST. GEORGE — Hundreds of kids gathered at the campus of Dixie State University Saturday afternoon to compete in a tournament that put their science, technology, engineering and math skills to the test with programmed Lego robots. Though everyone was recognized for their work in the competition, only 14 teams qualified to go to the next level of the tournament. 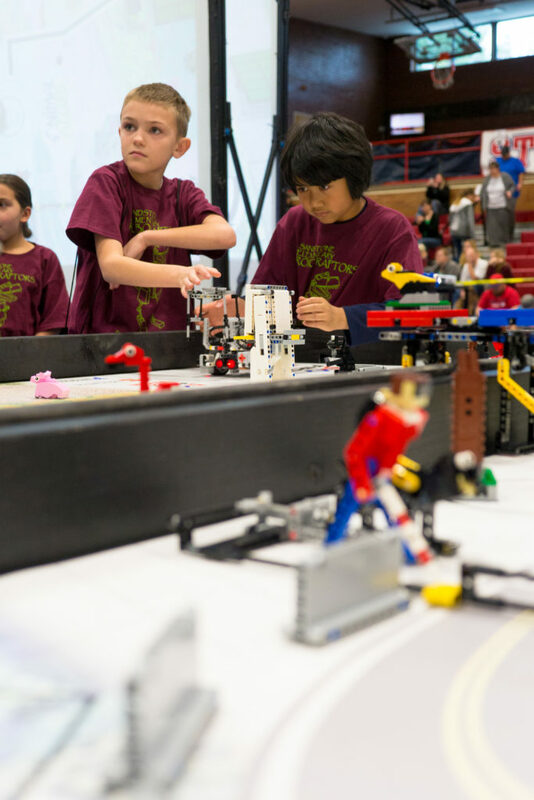 Teams of up to 10 kids ages 9-14 competed in Saturday’s qualifying tournament for the annual “First Lego League” competition alongside adult mentors in a competition that challenged them to solve problems and learn engineering concepts, presentation techniques and programming. 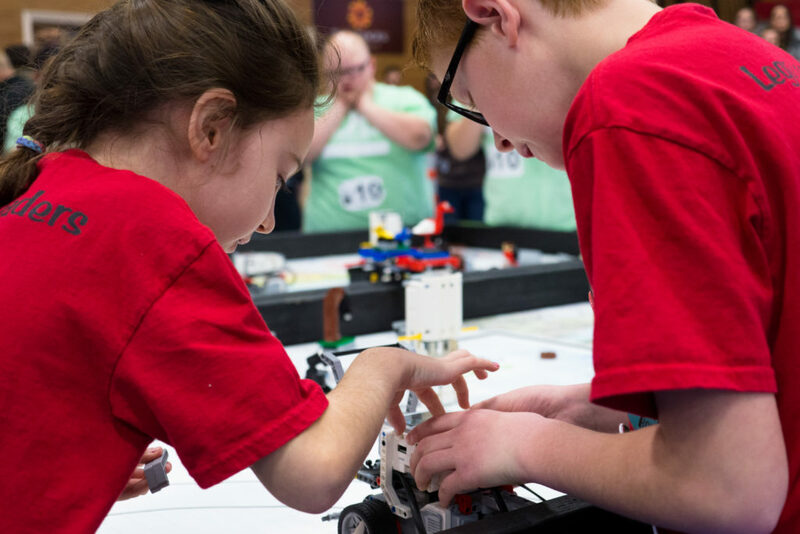 This year’s First Lego League theme is “Animal Allies” and includes such challenges as feeding animals the correct type of food, returning a camera attached to a seal to the lab and releasing a panda back into the wild. Teams are built from grass-roots, all-volunteer efforts by parents, teachers and interested kids. 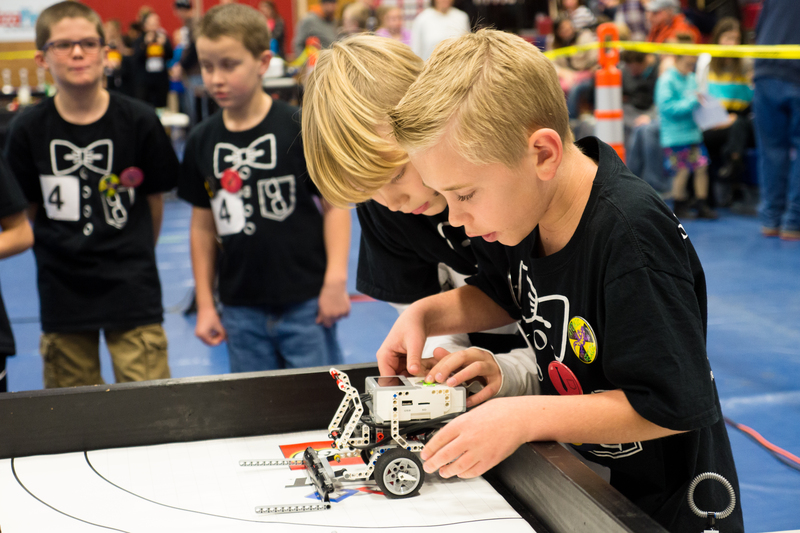 The teams come from many different backgrounds, including school groups, afterschool clubs and 4-H. 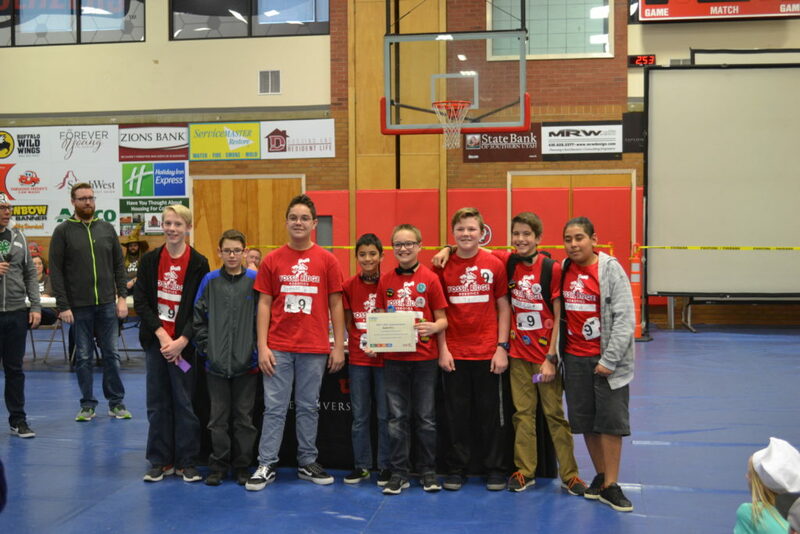 This year’s signups included over 50 teams, a record for the Dixie State University program that has been running since 2012. 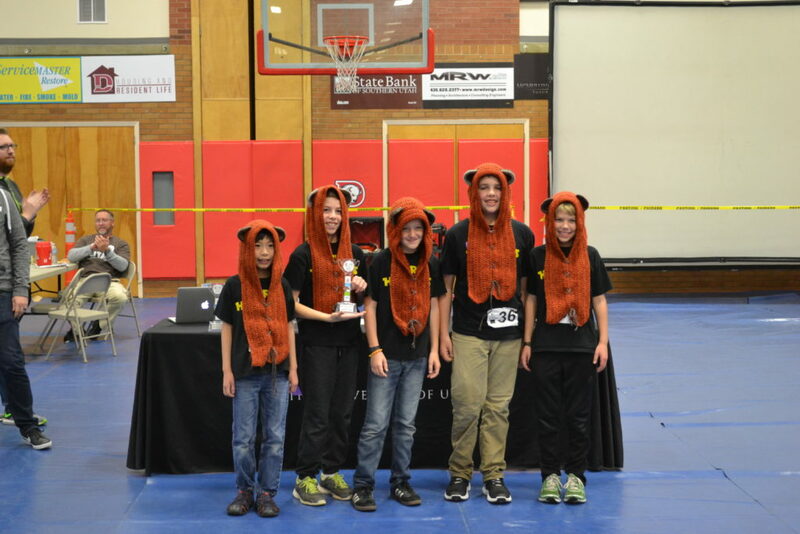 About 20 of the teams will compete at Southern Utah University this Saturday. “They’re judged on how robust is their robot – how good are they as an engineer and programmer,” Paul Hill said. Hill serves as the competition’s judge adviser and recruits judges to help rate each team qualitatively. Every team that participated went away with some kind of award or certificate. 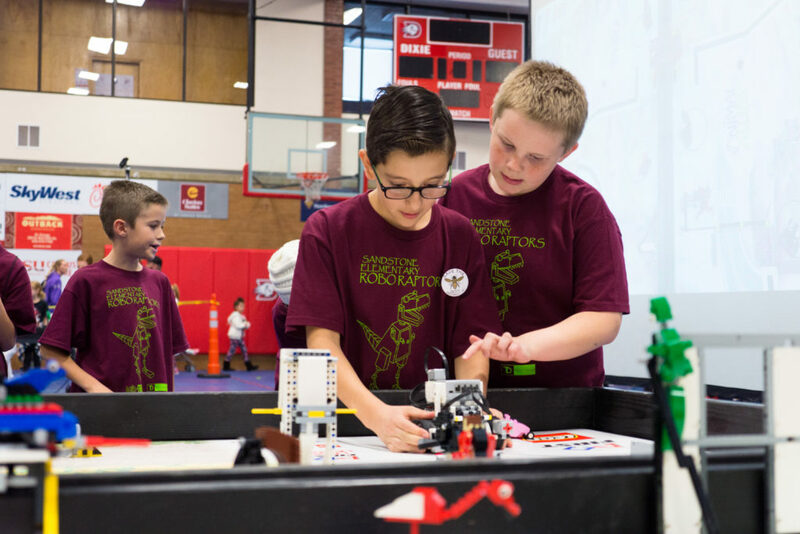 Some examples of the areas awarded include robot design, teamwork skills and most innovative solution to a project. 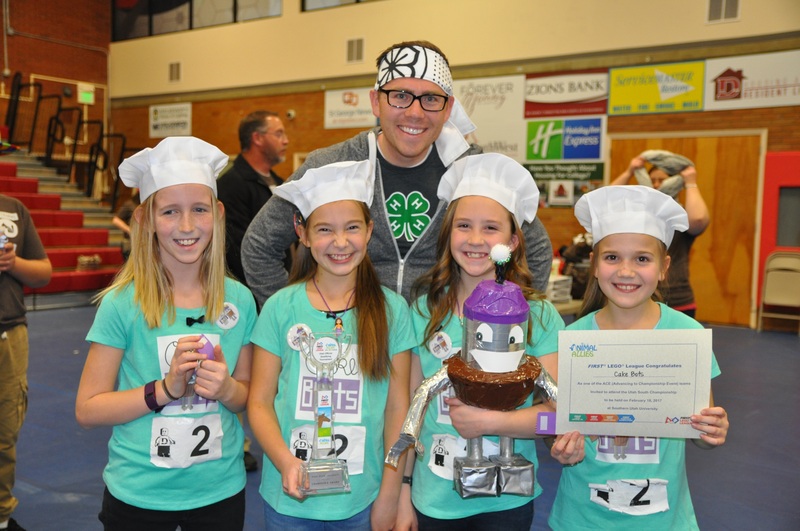 The competition’s Champion’s Award went to the Cake Bots, an all-girl team with four members between the ages of 10 and 11. Quite a few girls participated in the competition, and several co-ed teams were present. Hill said even just competing in the challenge is a winning experience, regardless of whether they are the champions. The competition goes beyond just applying technical skills, and social skills are rated just as highly. The event is designed to be as fun as possible for the children, but it also aims to attract more students to education in science, technology, engineering and mathematics – or STEM – fields. “We’re trying to build the next generation – the pipeline – to fill the jobs of the future,” Hill said. 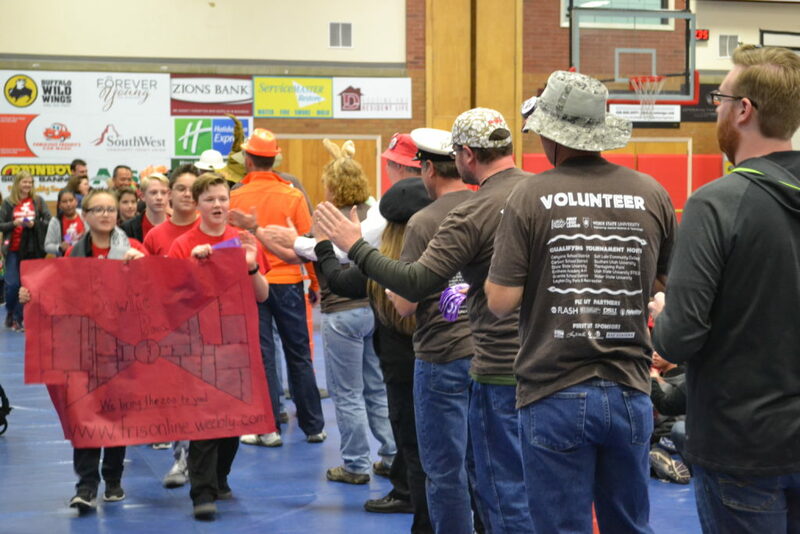 Fourteen of the teams move to the “South State Championship” Feb. 18, at Southern Utah University. An additional qualifying event will be held at SUU this Saturday.